The past couple weeks have been crazy-busy around here so our plans for our first wedding anniversary were kinda scrapped, or at least put off for a later date. I'm not too bummed, stuff happens, so don't think I'm complaining. By the time our anniversary rolled around, all I wanted to do was hang out at home but I knew I'd regret that, so Spencer and I got a late start on Sunday and headed to the Schoodic Peninsula, the less-frequently visited part of Acadia National Park. 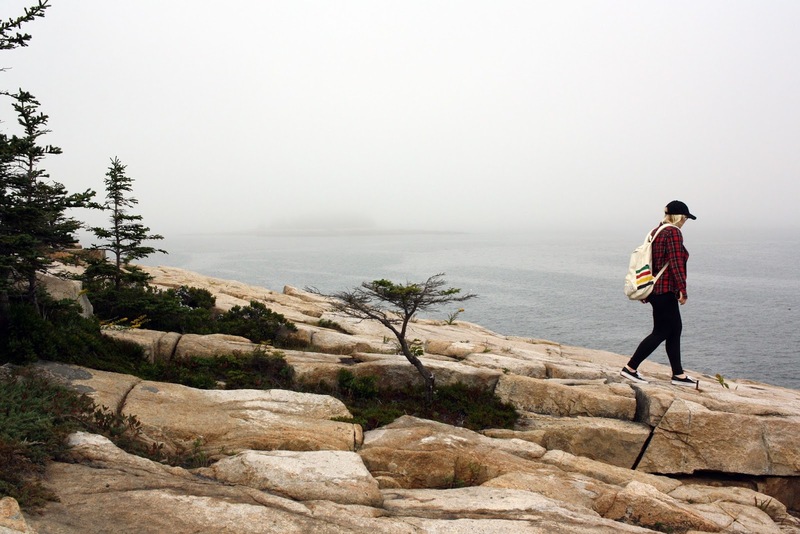 Most of Acadia National Park is located on Mount Desert Island and that's where most people go. 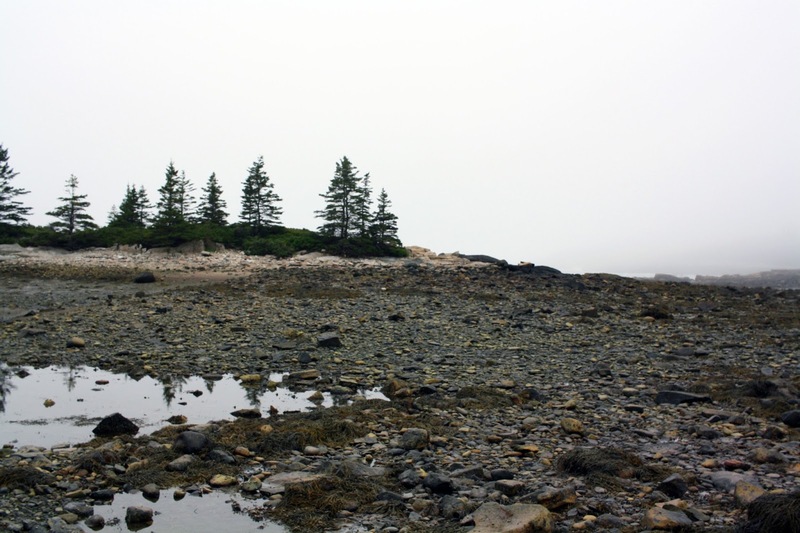 The Schoodic Peninsula is just a few miles across the bay and is south of the town of Winter Harbor, but it's roughly a 40 mile drive from the rest of Acadia. During certain months of the year a ferry goes between Bar Harbor and Winter Harbor for easier transport. First we made our way to the Schoodic Woods Visitor Center & Campground to renew our annual National Park pass and the place was deserted. The visitor center itself was beautiful and looked brand-spankin' new, plus the bathrooms were sparkling clean-- which is a rare thing to find at parks in Maine. There were a handful of cars and RVs in the parking lot, but not a person in sight. As we walked up to the doors, Spencer and I kept wondering aloud if they were even open. They were-- inside we found some chilly AC, an assortment of Acadia National Park merch, and a couple rangers. 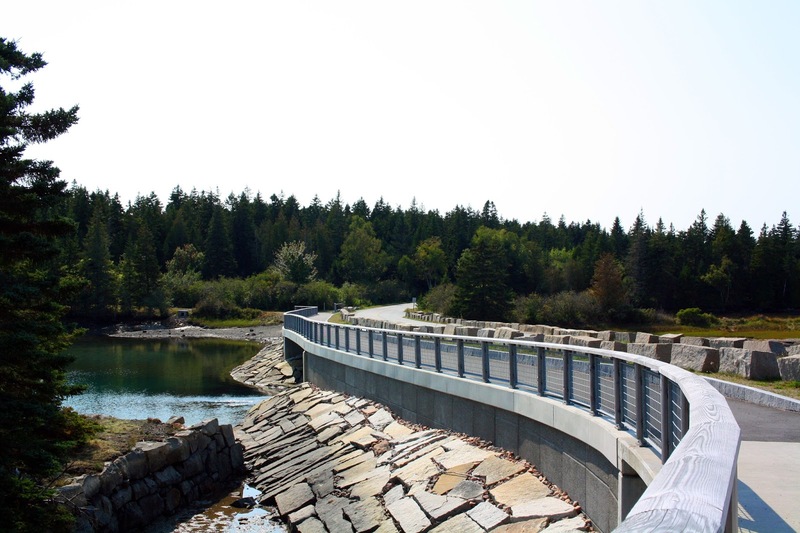 Like the portion of Acadia that is on Mount Desert Island, the scenic road around the Schoodic Peninsula is mostly a one-way. As I mentioned, we got a late start, so we didn't have much time for hiking so we mostly just stopped at the scenic pull-offs on the side of the road. It was a super foggy day so I could just barely make out the mountains on Mount Desert Island through the fog, but even with the clouded view it was absolutely beautiful. 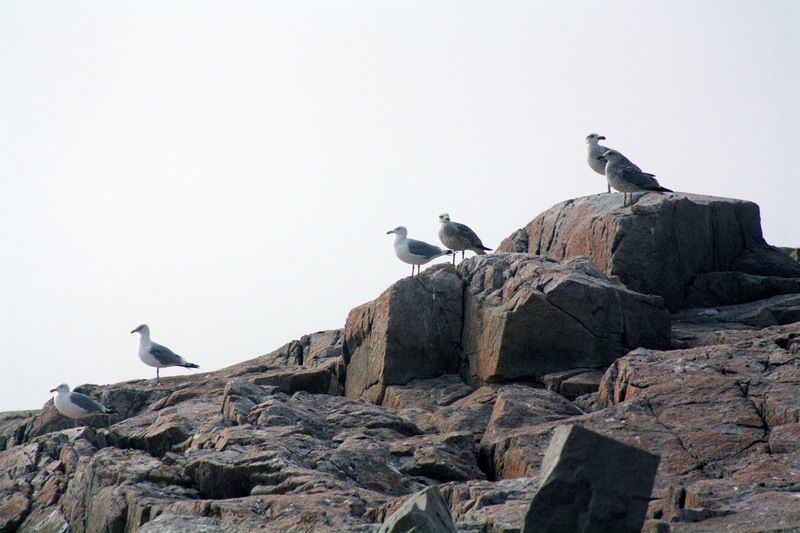 We headed to Schoodic Point, which seemed to be the main attraction. That's where everyone was, but it still was hardly crowded at all compared to the Mount Desert Island part of Acadia. The rock formations were huge and seemed to go on forever. Unfortunately it was so foggy and the waves were so big, thus creating quite a bit of sea spray, I wasn't able to get decent photos at Schoodic Point. Our last stop in the park was at a scenic overlook near Blueberry Hill. There was a little trail down to the rocks and the waves here weren't as rough as they were at Schoodic Point, so I felt safe to explore a bit. Again, even with all the fog, it was so beautiful here. I will definitely be back to the Schoodic Peninsula to explore more and hike some of the trails. 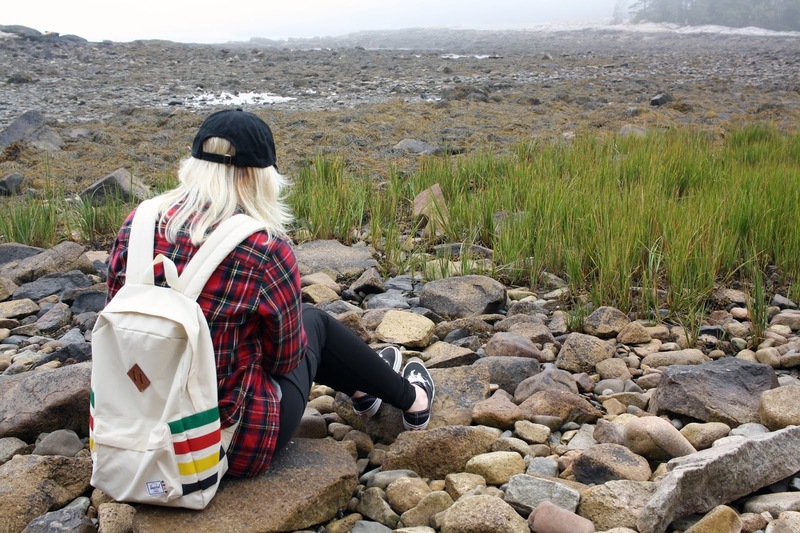 It is far less crowded than Mount Desert Island, which is constantly facing traffic congestion issues (hint: take advantage of the free Island Explorer bus when exploring Acadia, especially Mount Desert Island). Plus, that visitor's center is niiiiice. Bonus! On our way home I crossed a kitschy roadside attraction off of my list. 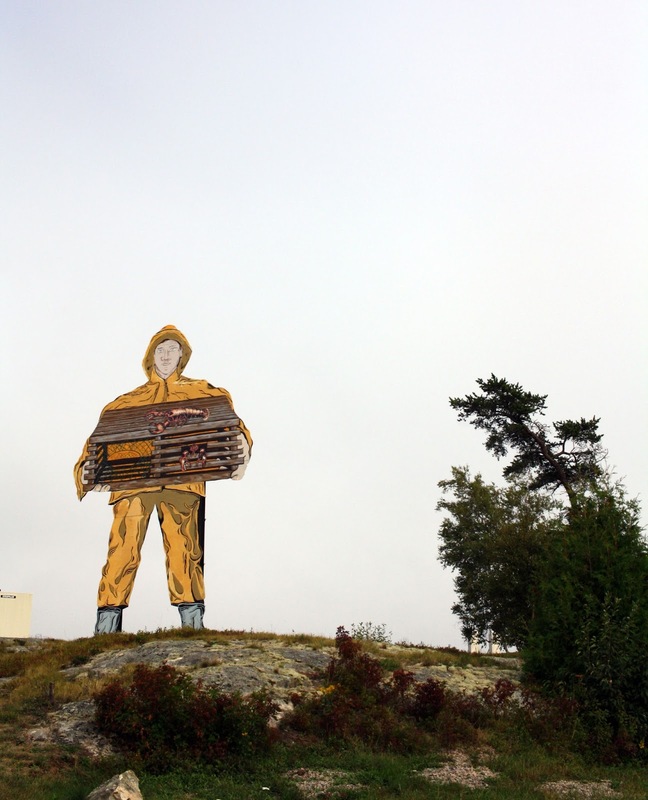 This is Big Jim the Fisherman, located in Prospect Harbor. He's about 40 feet tall and has been there for over 30 years. 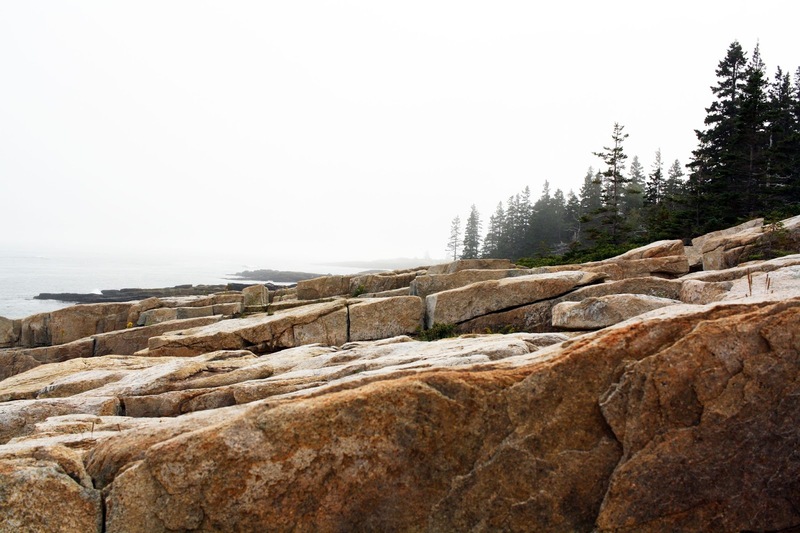 4 comments on "Schoodic Peninsula "
It looks so beautiful, even with all the fog. Wow what a gorgeous park. Your pictures are beautiful! So beautiful. You really do make me want to move to Maine! I think I'd freeze so bad, but at least I'll be surrounded by all of that beautiful scenery. 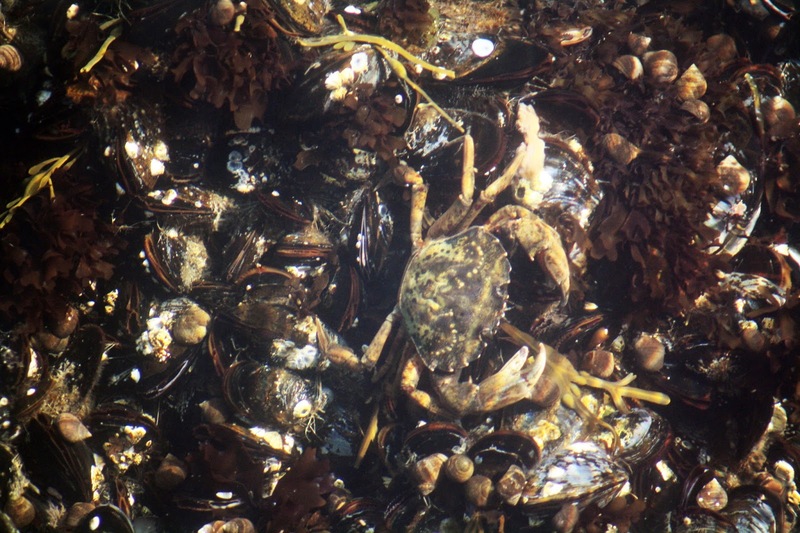 Even the crabs look so cute!